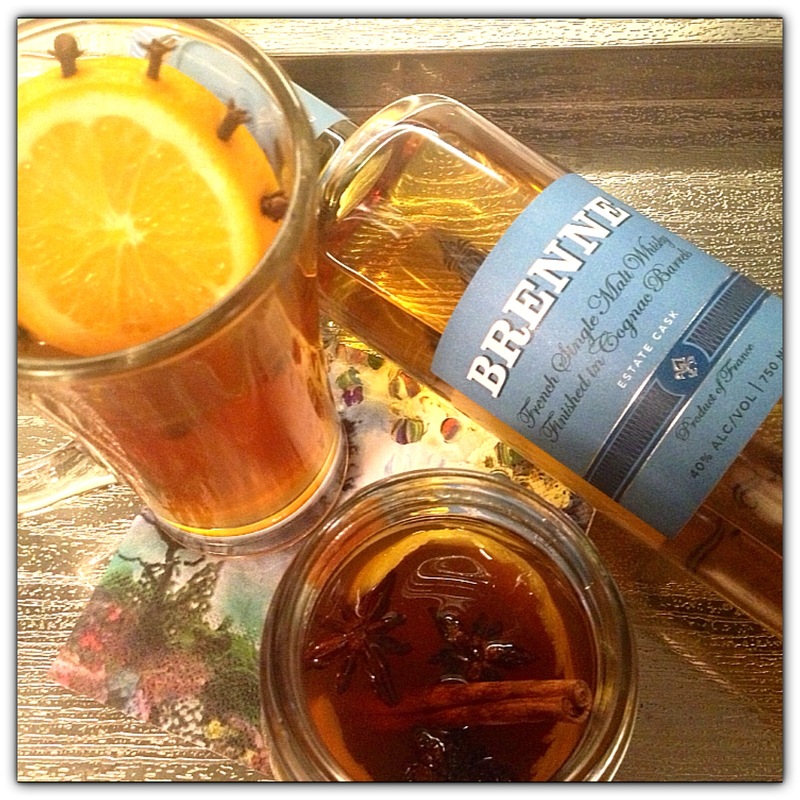 With the record low temperatures we’re having, I thought there no better time then now to share some of my FAVORITE Hot Toddy recipes using Brenne whisky! 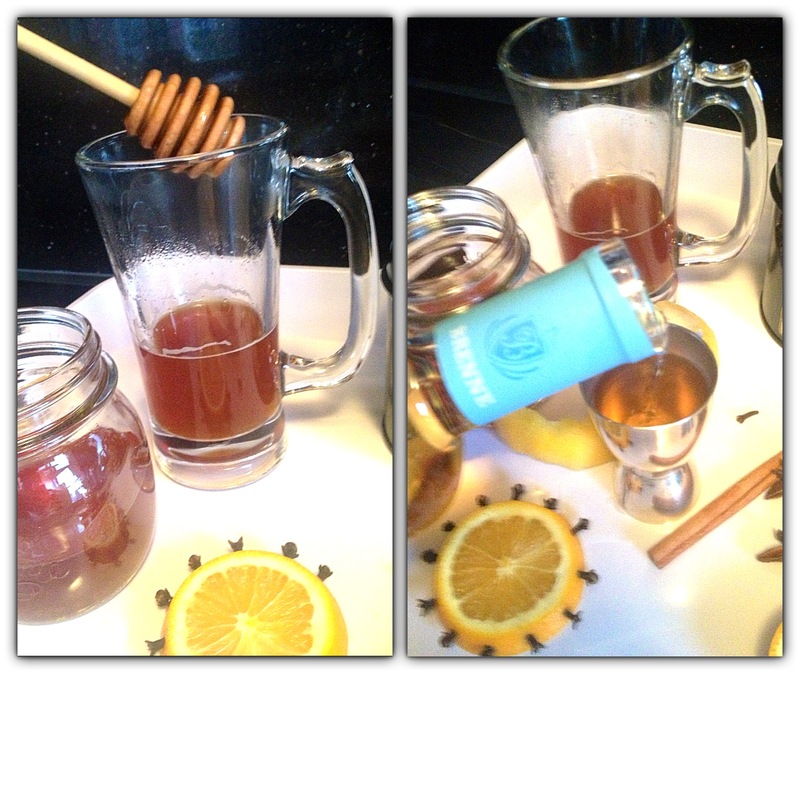 The classic Hot Toddy is made with hot water (tea optional), lemon, honey and either whiskey, brandy or rum. I like to kick it up a bit and use a more complex tea that I think would complement the specific aged spirit that I’ll be adding. 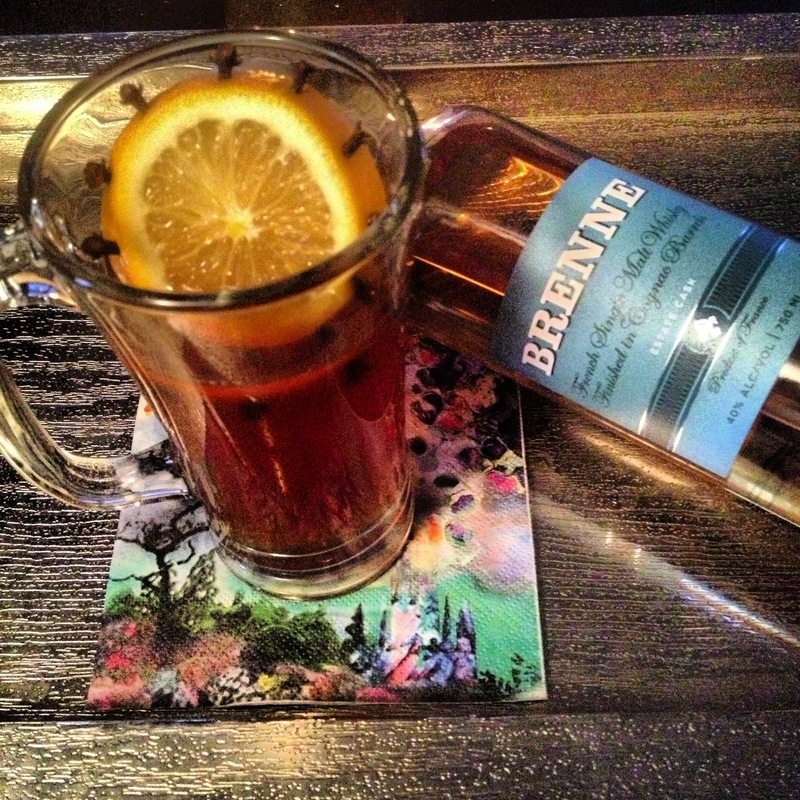 And there’s definitely a correlation between us whisky geeks and our deep appreciation for fun teas! 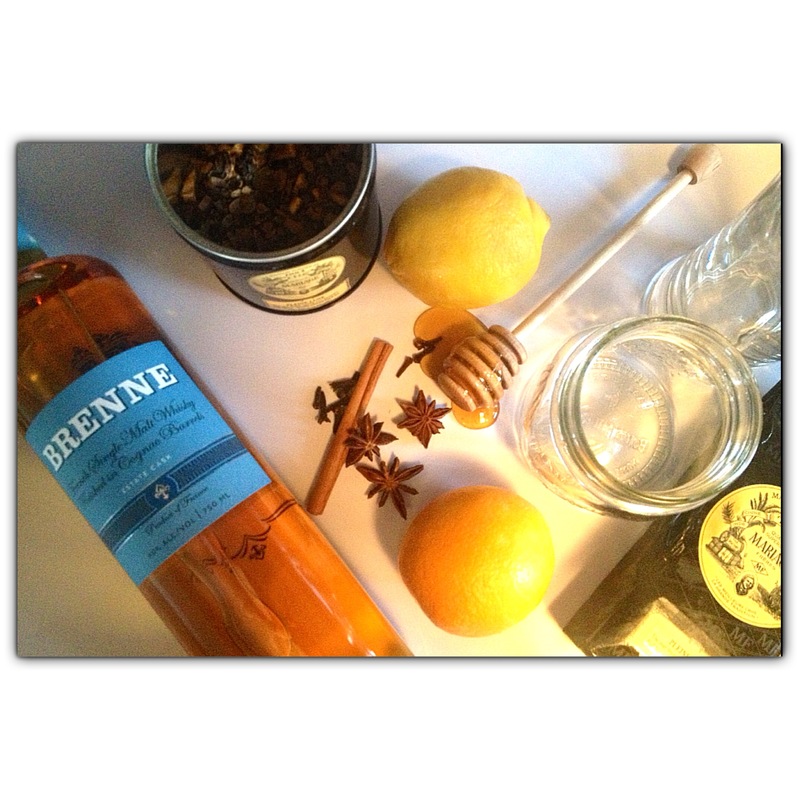 Brenne is a much more fruit-forward, floral & creamy Single Malt which lends itself especially well to Toddy’s, particularly if you make them with black teas that hint of orange, vanilla, cinnamon, burnt sugar, lavender … you get the idea! 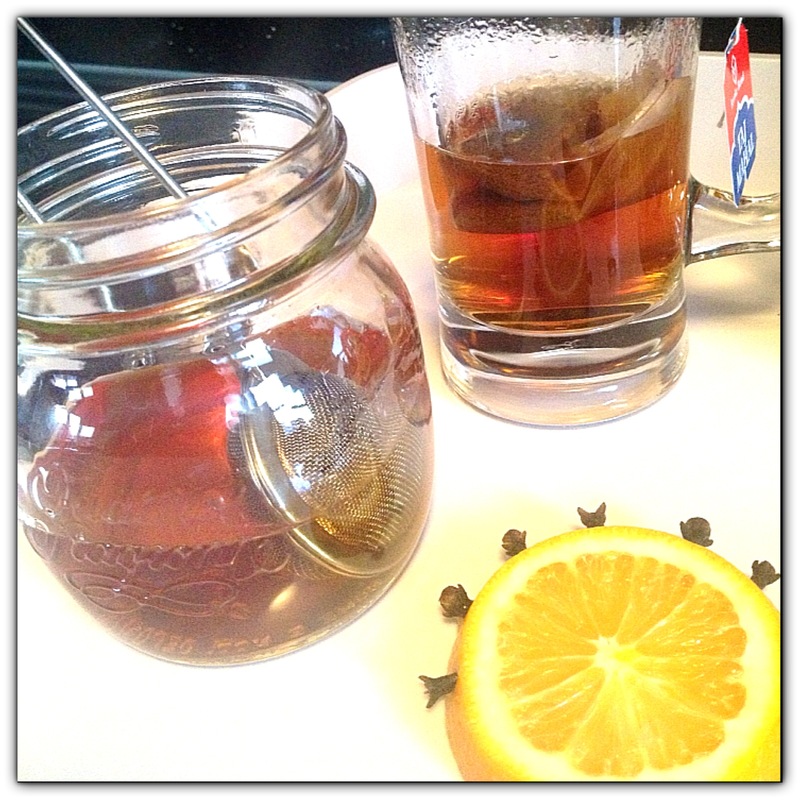 Below are 2 of my favorite recipes but feel free to play around using different teas and reversing the garnishes! Now that we’ve established the recipes, let’s break down the (VERY EASY) steps! While you’re reading, go ahead and put the kettle on the stove and start bringing the water up to boil … And we’re off! Pull together all of your ingredients while the water is heating up. Let’s have a toast: Welcome 2014, may you be exciting, peaceful, engaging, loud, quiet, and filled with moments so precious they fill our hearts with happiness and … of course, may we safely imbibe with delicious whiskies and great friends. Not typically one for making grand promises and goals for myself at the top of a new year – I instead try my best to just be a good person to myself and others every day (that’s my personal motto – just be kind. It’s simple but to the point … and many good people forget that that applies to being nice to them selves as well!). So imagine my surprise when I found myself wide-awake from 1-3am on Jan 2 with a scrolling list of New Years resolutions running a muck in my brain. And at the top of that list was spending a little more time blogging here with you. 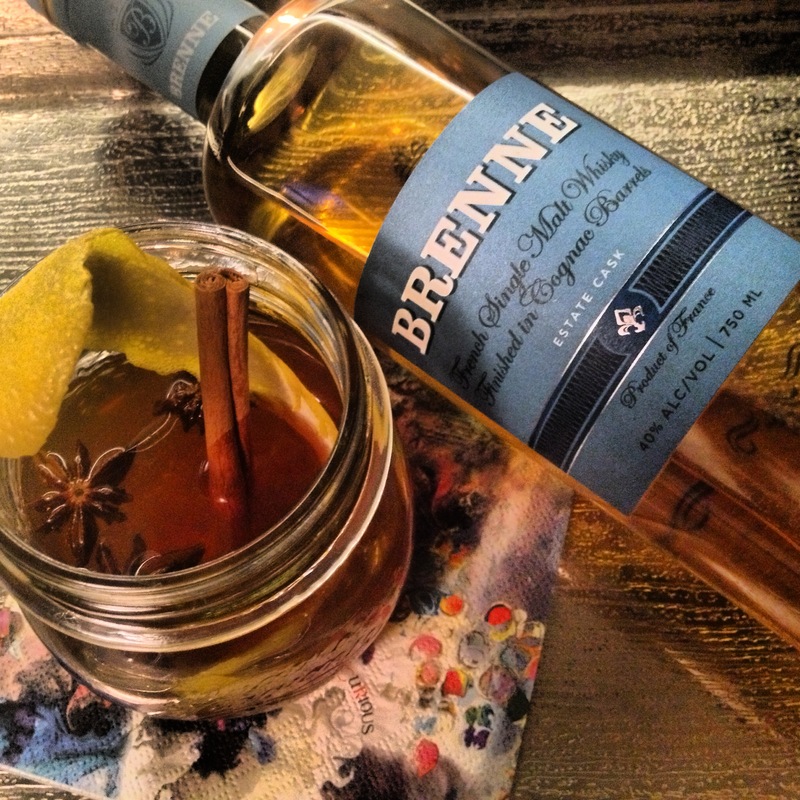 I’m rather proud that in I can look back at 2013 and say that we didn’t just “survive” our first full year of having Brenne on the market but rather felt like we thrived (in our own humble way – of course). And that’s a very proud feeling – but one that also has my head spinning in a few different directions … constantly. With all of the many ways to communicate these days i.e. facebook, blogging, twitter -and- twitter, instagram -and- instagram, pinterest, email, texting and the most vintage of the bunch: phone call, I’m sure I’m not alone in saying that I blinked and the 365 days that made up 2013 passed by in less time then it’ll take me to finish this post. What’s even scarier is while I can’t figure out how I might have possibly crammed any thing else into those fleeting days, I still can’t shake the feeling that I could have done more. (And that drives me a little batty). The concert hall at the Sydney Opera House holds 2,700 people. This blog was viewed about 39,000 times in 2013 from people in 142 countries. If it were a concert at Sydney Opera House, it would take about 14 sold-out performances for that many people to see it. Personally- I think that’s pretty cool and I’m honored to have your attention (and hope that at least some of that traffic wasn’t just here to “borrow” some images) ;). So my goal for 2014 is to slow down a bit, do 1-3 things at a time, not 8-10, and by doing so, hope that I can re-engage with you more here on my blog as it really is something that I deeply love and miss when life forces me (by sheer lack of minutes in a day) to be a bit more disconnected then I’d like (well, here at least – you can always find me SOMEWHERE online!). I hope I get smarter & more efficient where social media is concerned. I hope I dance more … even if it is done standing at a counter waiting for my next espresso! I hope I take more walks outside – in all kinds of weather – and continue to look up and appreciate the effect a setting sun or rolling clouds have on whatever scenery is around me at the time. I hope I breath more. Deeply. I hope I sleep more. Deeply! I hope I keep laughing loudly and sharing more great whiskies with the many wonderful friends I have made and hopefully will make in the comings days and months. I really hope Brenne continues to move forward in the most positive of ways! I hope 2014 goes by a little slower so I can savor the time we’re blessed to have. 2013 was a strange one for me; professionally with Brenne it was remarkable (moving from 1 to 11 states across the US, being blessed to have had the attention of some pretty prestigious publications – including being mentioned in a few books! ah-hem Fred Minnick’s Whiskey Women(! ), winning an Icon of Whisky award, etc). But while I experienced many professional gains, I also suffered a major personal loss when my Grandmother passed away just 2 weeks before her 102nd birthday. She was truly with us till the end and for that, I was extremely thankful (let’s face it, she remembered my schedule better than I did … and I have the “help” of 1000+ apps on my phone!) but she was one of the most inspiring people I have ever met – faced challenges with Grace (as was her name) and loved her family so much you felt it in every letter, phone call and interaction we’d ever had with her. I miss her terribly and was surprised when, months after her passing, just the thought of her could still bring me to tears. I am/was very close with my grandparents and now have only one left on earth – I cherish every moment he and I share. Loss is inevitable but having been freshly reminded of it makes me want to shout daily that we can’t take our loved ones for granted. We only get this precious time together and if 2013 is any indication of just how much faster time is going to go by – well – I hope the quiet and peaceful act of sharing a glass of whisky with those whose company you enjoy can help us all slow down and appreciate each breath. And with that – I continue to express my deepest thanks for sticking with me – liking, commenting, reading, and sharing my words and engaging with me on all platforms. 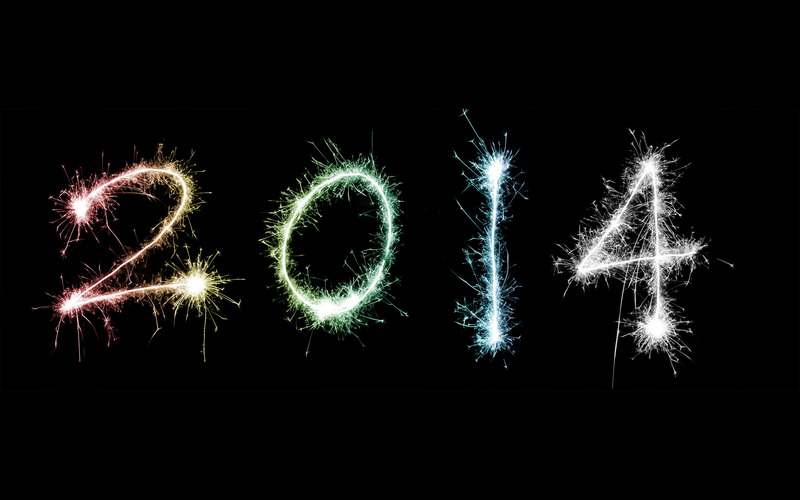 Mostly, I truly hope that 2014 is a healthy, happy and positive year for us all. Happy New Year from the Whisky Woman! THANK YOU FOR BELIEVING IN ME AND IN WHAT I’M TRYING TO DO. 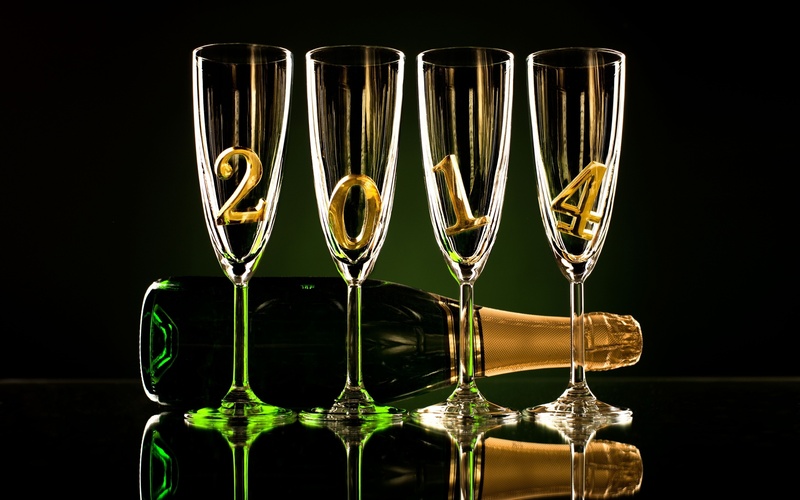 You are currently viewing the archives for January, 2014 at The Whisky Woman.